Spend a day exploring the historic, underground cave system in Devon. This secret network of prehistoric caves has been drawing visitors for centuries. Torquay is such a vibrant and popular town you wouldn’t think there is a whole subterranean system right below your feet. Thought to have been formed by water erosion during the Ice Age, Kent’s Cavern is a huge system of caves and tunnels totalling more than 930m in length! Situated close to Devon’s coast the caverns have been formed from Devonian limestone, and the effect of rainwater seeping through cracks, dissolving the rock. The formation of this eerie but beautiful system has been ongoing, and as you explore you will pass 4 million-year-old rocks and incredible natural features like stalagmites and stalactites. The cave system is open to the public for tours and there are knowledgeable guides that will lead you on a special visitor route, talking you through the area’s history, and sharing some of the stories of the inhabitants that have previously called it home. The cavern seems always to have been in use and its early history has seen a number of interesting inhabitants. The human jawbone that was discovered inside can be dated back to 41-44,000 years ago, making this the earliest known human settlement in Britain! It was used as a shelter by several early species of human and has seen the likes of cave bears, lions and hyenas. Even the remains of woolley mammoths have been discovered in there! The cavern's earliest traces of modern man date back to the Roman era with the discovery of coins and there is an inscription on one wall dating from the 16th century. It wasn’t until the 20th century that the caves became more of a tourist attraction. They were sold to the Powe family and still remain in their care today. Over the years they have built tourist facilities and made the area more visitor friendly. Kent’s Cavern is a really important place to visit and, at just an hour away from Lower Knapp, it’s easy to make a day of it. Torquay is a beautiful town on the English Riviera and the number of local walks and coastal hotspots nearby are endless. Check out the website for some ideas for what to do with the rest of your day at www.torquay.com. Remember that there is a restaurant, café and a souvenir shop onsite, so you’ll have everything you need while you’re visiting. There is also a running programme of events that take place down in the caves so take a look at the events calendar before you set off, to see if there’s something good happening. The caves are open every day except for Christmas Day. You have to be a part of the visitor tour in order to explore, but they run regularly throughout the day. 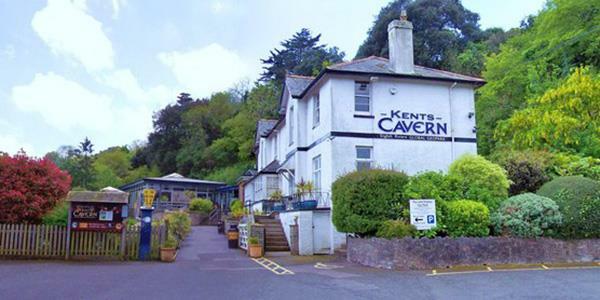 The caverns are located off Ilsham Road in Torquay (have a look at a map here) and there is parking onsite. The price for an adult is £10 and a child is £9.